The city's history officially began in 1902, when Kure was incorporated after the formation of the Kure Naval Base in 1889. In 1903, the Kure Naval Dockyard was established, where the technology of shipbuilding and steelmaking were dramatically advanced. The city prospered, as Kure became the best naval port in the Far East, and the biggest arsenal town in Japan. Many ships were built here -- most famously, the battleship Yamato. After World WarⅡ, it developed into one of the foremost marine industry cities. Many of the world's largest tankers were built here. Japan became the world's leading shipbuilder within a decade of the war's end. 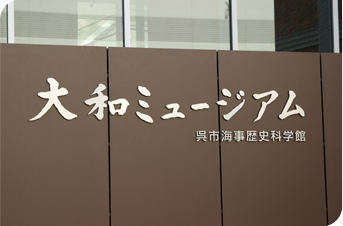 The Kure Maritime Museum (also known as the Yamato Museum) presents the history of Kure, which is nothing short of the history of the modernization of Japan. We focus on the lives of key people in the city, its culture and industries, primarily shipbuilding and steelmaking, which were crucial aspects of the foundations of the modern nation. We aim to present a fascinating part of modern Japanese history, and to raise people's awareness of the tragedy of war; to pass on some of the most important technology to children, who are the future of Japan; and to contribute to regional education, culture and sightseeing. Please cooperate for seeing in a better environment.